To book a jump you have to click on good gift. The jumps take place in the south east of France. 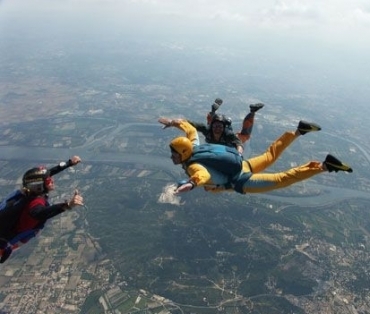 For the tandem jump a fee (License insurance and Place plane) of € 149 will be paid on the day of the jump. Jumping in tandem: maximum weight: 90kg, medical certificate of less than 3 months to present the day of the jump. 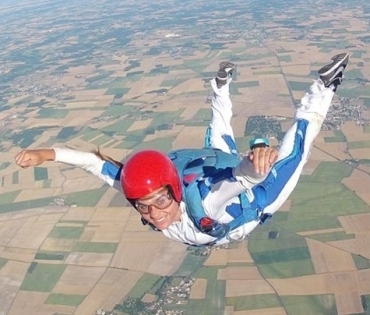 For the jump of introduction a tax (License insurance and Place plane) of 180 € will be paid on the day of the jump. Jump initiation: maximum weight: 95kg, medical certificate of less than 3 months to present the day of the jump. Un saut en parachute à 4.000 mètres d'altitude!Une vitesse de 200km/h!50 secondes de chute libre!Ouverture du parachute à 1.500 mètres!Balade sous voile 5 minutes. 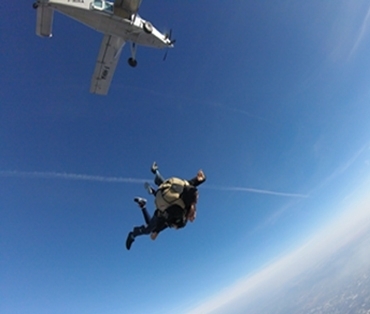 The PAC initiation is a free fall baptism that allows you to participate more actively in your jump. It is a beginner training course. It consists of 6 jumps and is done in 4 days minimum (not necessarily after, it can be weekend or week).